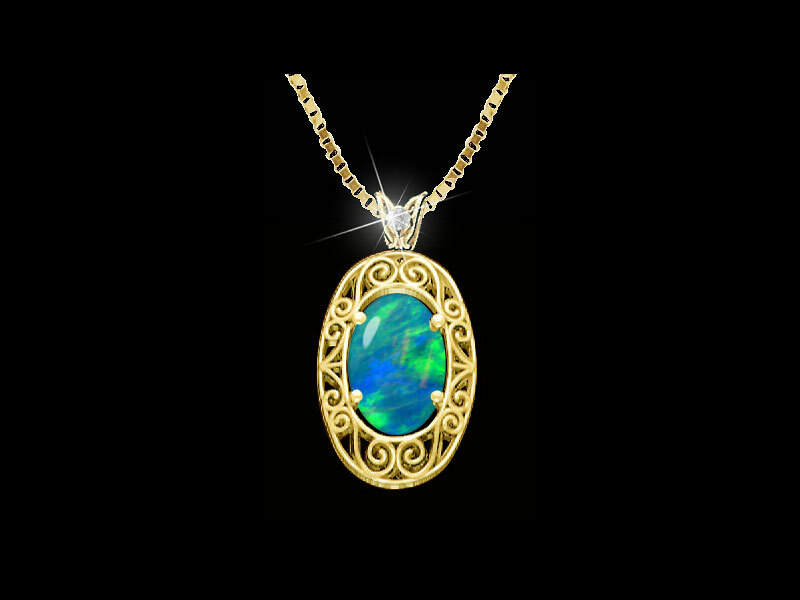 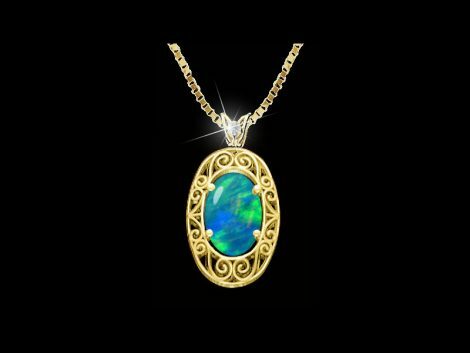 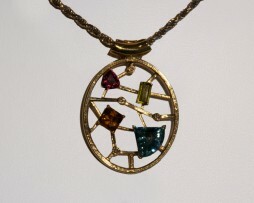 Lady’s oval cabochon cut Australian opal pendant with diamond bail in yellow gold. 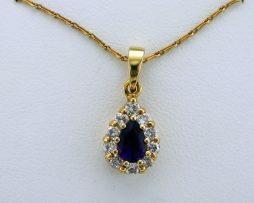 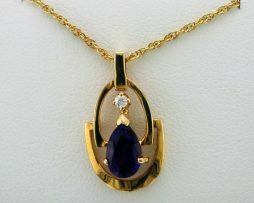 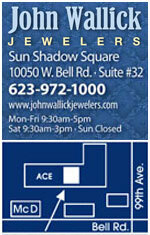 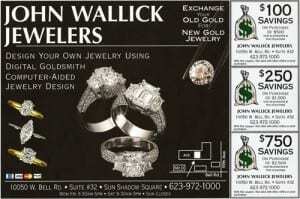 John Wallick Jewelers: Pear shaped amethyst and one diamond pendant necklace. 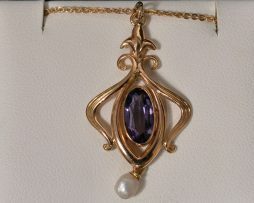 John Wallick Jewelers: Pear shaped amethyst and diamond pendant necklace.